Director K. V. Anand's Maatran is fast nearing completion. Co-written by the director and Suba (who has also scripted the story), Maatran has Surya in two different roles and teamed with Kajal Aggarwal. Anand has shot the film in several locations including Indo-Pakistan border, Wai in Maharashtra, Jodhpur, Russia, Croatia, Serbia, Albania and Macedonia. “Beyond saying thatMaatran is an action thriller, I cannot divulge much now. But, as in any big budget film, one cannot stick to any particular genre throughout the film. So it has songs, romance and comedy. 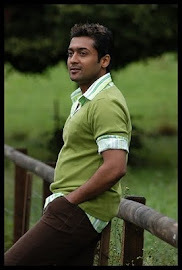 Surya's is not a double act but appears as two different characters in separate segments of the film,” says Anand.